Data warehouse projects are traditionally time-consuming and expensive, often requiring extensive teams of architects, analysts, and developers. Despite recent advances in database and ETL technologies, the most expensive part of most data warehouse projects remains human resources — an indication of just how much hand-coding is required to implement a traditionally designed data warehouse. 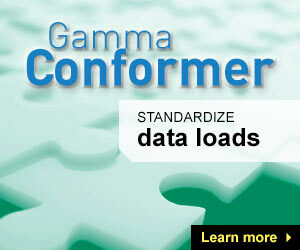 At Gamma Systems, we are changing the way enterprises develop data warehouses, ETL projects, and similar BI projects. We want to help enterprises improve code-quality, while simultaneously slashing development costs and development times by 50-70%. Achieve faster “Time to Insight” — quickly give business units the DW and BI analytics they need. 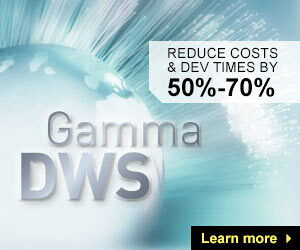 With Gamma Systems, new DW and BI projects come online faster. Do more with a development team of the same size. Instead of devoting an entire team to a single DW project while other projects linger on a waiting list, IT departments can tackle multiple DW projects at once, boosting department output and pleasantly surprising line-of-business managers. Reduce testing, bug-fixing, and documentation costs, while improving code re-usability and project ROI. Automated code generation reduces errors introduced by hand. By eliminating these errors, Gamma Systems improves code quality while reducing costs formerly spent on testing, bug-fixing and documentation. Apply Agile development methodologies to data warehouse, ETL, and BI projects. Many enterprises find it difficult to fit traditional DW projects into 15-day sprints and burn-down lists. By eliminating the amount of hand-coding required for DW projects, Gamma Systems makes it possible for DW development to more easily adapt to Agile methodologies. Not only do development times decrease, but also DW projects can now be managed with and integrated into other projects being managed through Agile practices like Scrum. 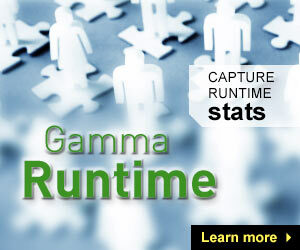 Gamma Systems has created a suite of products that facilitate implementation of data warehouse projects. Our flagship product, the Data Warehouse Studio platform, enables software architects, business analysts, and data modelers to design and configure DW and BI solutions, then automatically generate 99-100% of the code required to implement the solutions on the target systems of choice. Two other solutions—Gamma Runtime and Gamma Conformer—address challenges that often arise on data warehouse projects. These solutions are available either options for Data Warehouse Studio.